For may summer gardens, bulbs, tubers and similar tenders plants provide a stunning exotic touch to our landscape. 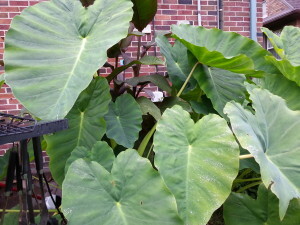 As nurseries develop unique varieties of Rex begonia, caladium, colosia (also known as elephant ear) and canna, they have found their way into beds and containers. Did you know you can save those tubers and bulbs? With a little elbow grease, some careful preparation, and a cool dry place, you can return those exotic plants to your gardens year after year. 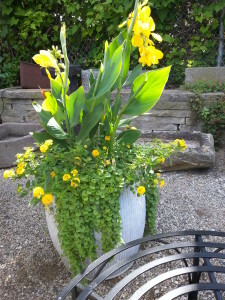 I recently found an article by Mary H. Meyer, Extension Horticulturist, Department of Horticultural Science, University of Minnesota titled "Storing Tender Bulbs and Bulblike Structures". Ms. Meyer provides detailed instruction on all that is needed to safely store your summer bulbs. You can read (and even print and save!) the article at http://www.extension.umn.edu/distribution/horticulture/dg1117.html. What better way to stretch your garden dollars and build a collection of beautiful summer bulbs that you can enjoy year after year!